Download the offline Bitdefender antivirus installer for Windows PC. It supports 32-bit Windows operating systems and 64-bit Windows operating systems. You can obtain the complete standalone Bitdefender Internet Security installer from the site. Once you need to download the offline configuration, Bitdefender then installs it on your PC without an Internet connection. If you have a fast Internet connection, you can install it directly from the Internet. Continue to install the Bitdefender Offline Installer on Windows by clicking the download button on the right side of this page. The offline installer of the Bitdefender Total Security Program works as a security officer. When your computer is facing dangerous threats, the BitDefender antivirus automatically detects all these threats and kills them to secure your computer. It also helps secure your data online while browsing the Internet. We sometimes face dangerous threats and viruses when we surf the Internet, which can damage online data. But the offline installer of Bitdefender security software works 100% securely. Download the kit offline: Bitdefender 2019 32-bit or Bitdefender 2019 64-bit depending on your operating system. This step covers almost 50% of the task. Uninstall the earlier version of Bitdefender from your PC. You can do this by using the Bitdefender removal tool. Disconnect the Internet. Do not forget this step. When you are offline, start the installation. If things are in the right place, the installation will end. Important, as soon as the installation is complete, reconnect to the Internet before the Login to Central Account option appears. Update the application later. That’s all. Have you already added a subscription to the central account? Probably a different product, namely Internet Security 201 8 or Antivirus Plus 201 8? Do not worry! As soon as you log in with your account, Bitdefender will automatically change the application. 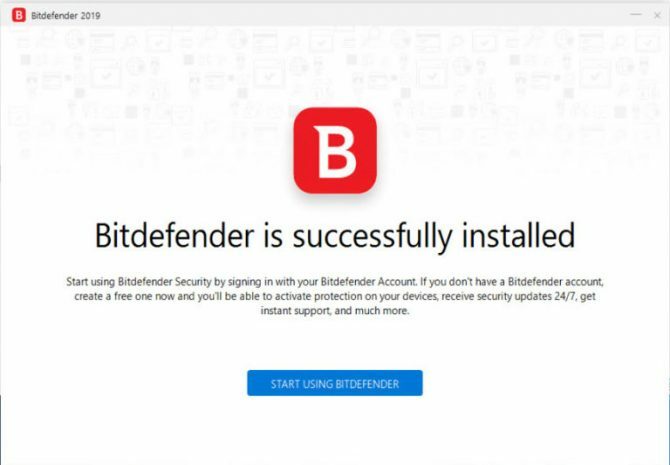 You must first install Bitdefender Agent to be able to install Bitdefender 2019! Login to Bitdefender Central Account. Go to My Devices. On this screen, click on “Install Bitdefender” button. Download the web setup, 10.9 MB. Now run the above setup. As a result, after a while, you will see the web download starts. Cancel the download. Bitdefender agent installation is complete in above step. Silently done just before the download started. Resume from step 3 and perform step 4 from the installation instructions above. That’s all for the installation part. Removing Offline Installer Kit is not a good step by Bitdefender. There are a lot of people who do not have a good Internet connection. Another case is for people who format their system very often. Hence, downloading the same package, again and again, makes no sense. Although it is an offline installer, you need a stable Internet. Activation can not happen without it. Please note that when using an offline installer, you are using a relatively old installation file. Therefore, the time taken for the first update will be long. A patience test if your internet connection is slow or continues to disconnect often. Compared to the Web Installer, the offline installer is always better. As you can at least install the application without fail. Updating the application is not a problem because it happens automatically in the background.